Why You Should Clean and Seal Your Concrete Driveway or Patio? Whether you’re getting a new beautiful concrete patio or have an old driveway, it’s very important that you properly protect and maintain your expensive concrete surface investment. 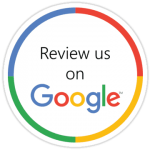 Concrete sealing companies like Concrete by Design specialize in keep your existing concrete driveway looking pristine and new. Our concrete sealing services are recommended to homeowners and commercial business owners to improve the appearances of your property’s surrounding concrete and masonry surfaces. Concrete driveway cleaning removes oils, dirt, and any surface contaminants from the concrete surface, and also prevents the growth of mildew and mold. Pressure washing can keep your driveway surface looking new or restored with a yearly concrete cleaning plan. Unfortunately, all concrete will eventually stain and become soiled if the concrete isn’t properly sealed with water-based or solvent-based concrete sealing agents. Sealing is the process of applying protective additives to your new or old concrete to prevent staining, surface erosion, and help to provide proper curing of new concrete installations. We recommend that all concrete surfaces, both interior and exterior, be sealed to give a durable and stain-free concrete slab. The best way to seal existing or new concrete is to start with a good product; we have had years of experience selecting the right sealer for each project. A good concrete driveway/patio sealing will enhance and keep your driveway or patio looking new for many years ahead or rejuvenate a lackluster concrete surface. A sealer will improve your plain concrete, colored concrete, or stamped concrete. Sealing should be done once the concrete has cured as well as every few years as a maintenance plan. 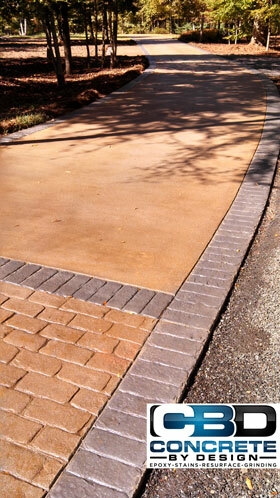 Sealed concrete driveways will appear rich in color and glossy if desired by the client. 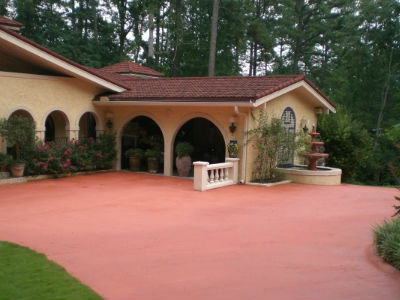 The concrete sealer can also be tinted with color to further enhance the appearance of the driveway or patio. A sealer will help prevent the whiting or hazing known as efflorescence, which is a powdery natural residue that can form on the surface. Sealing your concrete will protect from stains and it is great for outdoor cooking areas. Exterior concrete often gets stained with leaves, dirt, fertilizer, pet soils, spilled drinks, and many other things. The right protective sealer will keep stains from penetrating the concrete surface and stop unsightly stains. Sealing concrete driveways and pool decks can reduce the chance of damage caused by the freeze-thaw cycle. Freeze-thaw occurs when water penetrating the surface freezes and expands causing concrete to crack or flake. Sealing the concrete will cause water to bead on the surface and repel moisture from absorbing. Business owners and homeowners can help prevent cracking, scaling, crazing, and pitting by yearly applying a good acrylic silicone solvent-based sealer to their concrete. Our certified concrete contractors can also repair cracks with an epoxy injection, dry packing or routing and sealing techniques to stabilize the cracks.